My Body That Could. . . and Did! My journey to motherhood began in 2002, the year my husband and I were married. Right after our wedding we stopped all prevention and started down a long and bumpy road. After six years of tracking cycles, taking temps, ultrasounds, meds, and intervention, we came to a cross roads. We thought long and hard about what our next move would be in the mission to become parents, and like a ton of bricks it hit me, I didn't need to be pregnant, but I did need to be a mother. This propelled us onto another path where we would become foster parents, and eventually welcome, our now oldest daughter into our home and hearts. We had done it! We were parents and we were a family. Our conceiving a biological child became insignificant and we looked forward to giving our all to our darling daughter. Less than a year after our daughter came to us I discovered I was pregnant. Sadly nine weeks later that pregnancy ended in miscarriage. I was so sad, so mad and for a long time never thought I would forgive my body for such a cruel trick. Months past, five to be exact and I was pregnant again! I was in disbelief, but in an instant, I knew what my miscarriage was meant to teach me, it taught me to believe in my body, have faith that it could do, what for so many months and years I was angry for it not doing. We welcomed our second daughter into the world in April 2009. Seven years after we began our journey to parenthood, there we were the beaming parents of two beautiful girls. My journey to motherhood had been full of so many emotions, and in the end the biggest one was joy. I knew if my body would allow me, I had to give that joy to another woman who was unable to carry a baby herself. I set out to help a couple find that same joy of adding a biological child to their family. After discovering Joanne, Robyn and the Canadian Surrogacy Options agency, we found an incredible couple. In 2012, another beautiful baby girl was brought into this world, with the help of my body. A few months after she was born, I felt compelled to be a surrogate again. As much as I wanted to help another couple who had a long and heart-breaking path to grow their family, I was asking of my body for another miracle to share. CSO helped connect me with another couple and professionals to ensure that what my body needed to do was done safely and healthy for everyone involved. It was an honour again to help a couple in need and in 2014 we welcomed a beautiful baby boy into the world…again my body did what I knew it could. I have been so blessed, so incredibly blessed to carry three children, one of them my own, and two whom I was able to give back to their mommies once they were ready for the world. Becoming a parent wasn't easy; making my choice to become a surrogate was a simple choice and CSO added to that comfort, lending support every step of the way. Lending my body, opening my heart to a connection that no words can express has truly shaped my soul. Now, I am bigger part of the CSO family and have been given the opportunity to support other intended parents on their journey to making their dream of a family come true. Julia began as a Surrogate with Canadian Surrogacy Option and has now joined the CSO team helping to support surrogates and intended parents through each of their respective journeys. Julia is a mother of two, a surrogate of two and currently carrying her third gift of life for an excited couple from Newfoundland. She currently lives in Trenton with her family. 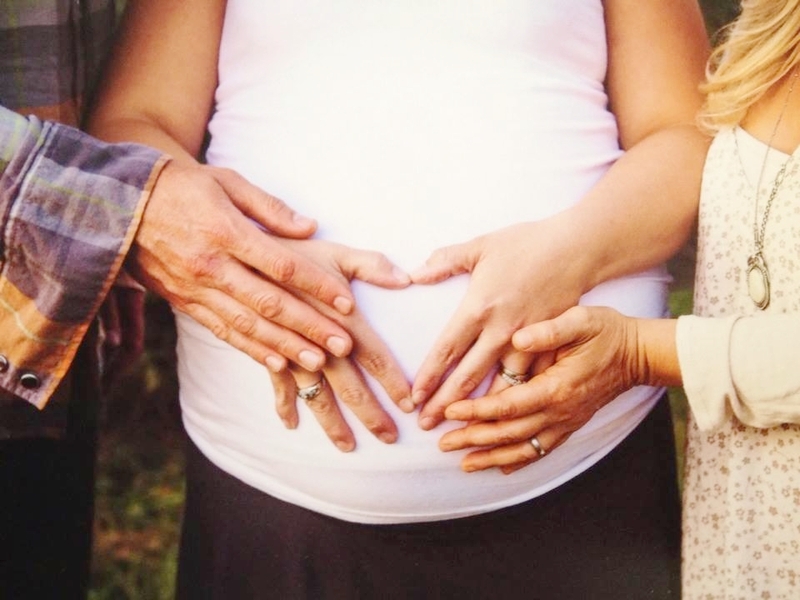 If you are interested in becoming a surrogate or in search of one, you can contact Julia and Canadian Surrogacy Options directly through any of their networks. Their egg-donation division, Little Miracles, is also available for anyone seeking services. And you can follow Canadian Surrogacy Options through Facebook and Twitter.